The Short Version: If you’re planning a cruise getaway, Cruise Critic has the resources and community to upgrade your vacation by making it more affordable and social. Founded in 1995, this site provides reviews, deals, and message boards geared toward helping travelers book the best cruises available. Of particular use for singles, Cruise Critic offers easy ways to meet new people and make friends before and during your trip through pre-boarding passenger forums and onboard meet-up events. 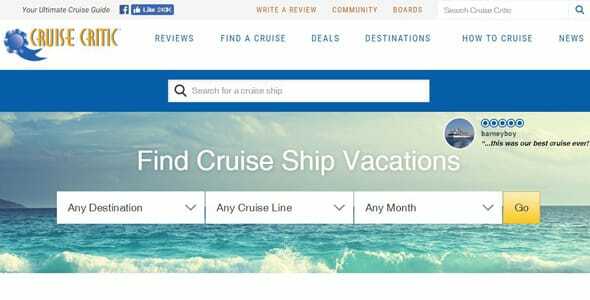 Not only do their message boards allow vacationers to stay in touch, but the site also supplies information about more than 500 ships, 90 cruise lines, and 300 ports — making it the largest online resource for planning a cruise. The Cruise Critic message boards, a place for cruise-goers to socialize before setting sail together, are usually full of excited planning and eager introductions, but, one day, a member posted a somber message to her new online friends. Her husband had passed away, she told them, so she wouldn’t be able to join them on the cruise they’d been discussing for months prior. She simply didn’t feel up to a vacation alone. Immediately, the online community rallied around her with words of sympathy and encouragement. “Don’t cancel,” they told her, “and we’ll make sure you have a good time — you won’t be alone.” So, bolstered by their support, she kept her reservation and joined them on the cruise as planned. Little did she know this would form the basis of lifelong friendships and lead her to meet the man she would marry. The group lifted her spirits, forged strong bonds, and ultimately helped her find a way to heal her broken heart. 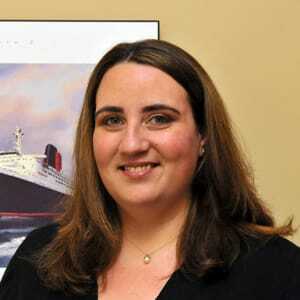 Melissa Paloti has worked at Cruise Critic for 12 years and is now the Director of Product Development. This is just one instance of how the online community at Cruise Critic brings people together. Over 7 million people visit the site each month — some are singles traveling alone, while others are honeymooning couples, families, etc. Regardless of circumstance, each visitor benefits from the site’s deals, reviews, and social network. As a socializing and research tool, the site helps people get the most out of their vacations. Cruise Critic has information on more than 500 ships, 90 cruise lines, and 300 ports, making it the largest online resource for planning a cruise. 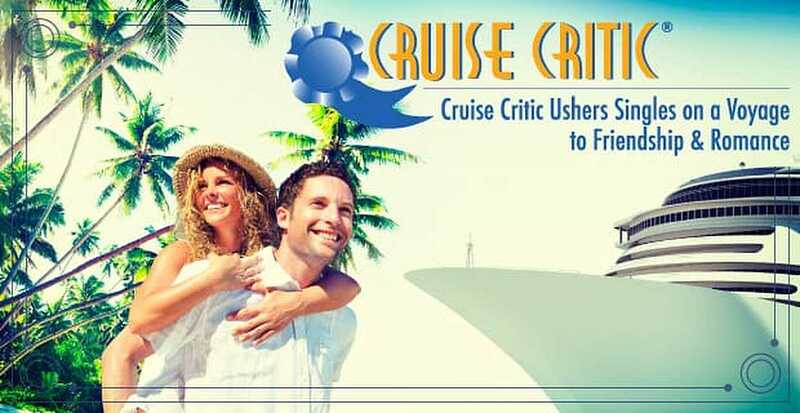 Since their founding in 1995, Cruise Critic has facilitated dozens of relationships and marriages that resulted from the site’s message boards and events. This comes as no shock to Melissa Paloti, Director of Product Development, who knows the strong bonds that can form on the site. Online communities offer singles a casual way to meet new friends and love interests, and in the case of Cruise Critic, you can also enjoy a fantastic vacation while you’re at it. Singles have specific travel priorities and needs that sometimes differ from people traveling as a group. According to a Cruise Critic survey of their own members, 50% of single travelers identified the Caribbean as their next cruising destination. When asked which cruise line gives singles the best experience, Melissa recommended Norwegian because of the innovative layout of some ships. In its newer vessels, the cruise line has designed rooms — similar to studio apartments — that connect individual cabins to a common social space for guests to meet for a drink or a casual chat. From the design to the active nightlife, Norwegian has a lot to offer single travelers. As Cruise Critic developed in the early 2000s, the team noticed an interesting trend taking place. Members were posting roll-calls announcing what cruises and dates they’d be traveling and asking for other members to sound off if they’d be there too. Roll Calls provide an easy way to make a connection. 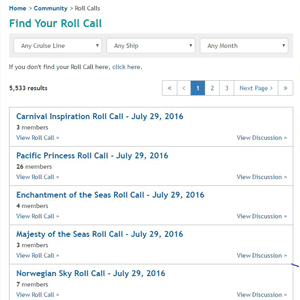 In the Roll Call forum, people can join a year (or more) in advance and start meeting others who will also be embarking on a particular cruise. Many active members sign up to talk about their trip, exchange useful tidbits, and even plan excursions together to save on costs. “A nice byproduct of the Roll Call is the lifetime friendships, relationships, and marriages that have formed over the years,” Melissa commented. The tool is invaluable as a way to introduce fellow passengers in a casual setting. To start chatting and socializing long before your departure date, check out Cruise Critic’s Roll Call forums. After signing up and making friends through the Roll Call, members often can’t wait to get together. Cruise Critic helps with that, partnering with cruise lines to offer a complimentary Meet & Mingle party. These events take place on the first day of the cruise, and sometimes senior officers of the ship — even the captain — show up to mingle with the passengers. Cruise Critic’s events facilitate their community getting together for free refreshments and a good time. For singles, it’s definitely a great way to start off your trip and make fast friends. Cruise Critic is sensitive to the challenges faced by singles traveling on a cruise. 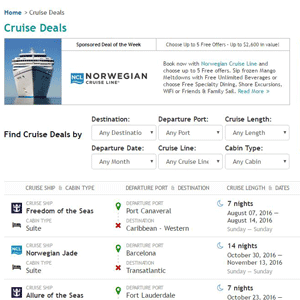 You can search for a cruise deal by destination, departure date, cruise line, cabin type, or voyage length. To ease the financial burden on vacationers, the Deals page keeps tabs on general cruise deals, price drops, last-minute cruises, and the cheapest cruises around. All this is neatly displayed for visitors to search through and find terrific savings. Cruise Critic lets visitors know what cruises have to offer through in-depth and objective reviews written by the editorial team. These writers actually make the voyage and can detail what the cruise ship experience is like from start to finish. There are also over 160,000 consumer reviews contributed by the community as a whole. To get the latest news, you can sign up for the Cruise Critic newsletter, which regularly shares tips and trends related to cruise lines. In addition, the site’s message boards are filled with user-generated recommendations from the community itself. Going on the Cruise Critic message boards increases your opportunities to socialize while vacationing on the sea. It’s an easy way to set yourself up for a good time and form bonds with other people interested in becoming travel buddies. 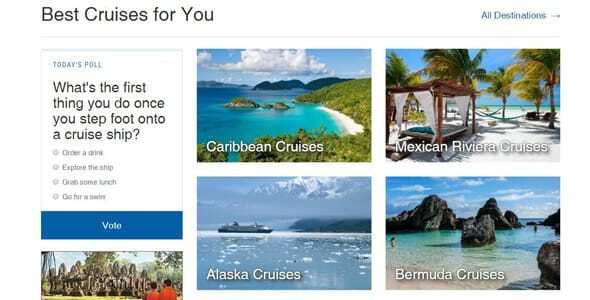 Cruise Critic doesn’t sell cruise travel, but does offer reviews and deals to help you find the best trip. By encouraging the social aspect of cruises, the site makes vacationing by yourself much more enjoyable. Even if you aren’t by yourself — you can never have too many friends. Meeting people on the forums is an excellent way to exchange ideas and stories. You never know what those connections can turn into as you stay in touch and maybe even plan more trips together. Based out of New Jersey, Cruise Critic has expanded and changed substantially since their early days in 1995. Among the first cruise-related websites on the Internet, they’ve naturally evolved as time goes by. Melissa began working at Cruise Critic over a decade ago, and she’s watched the company grow since it was just 12 employees. “We’re a very technically savvy company,” the Director of Product Development told us. Technical geeks and wordsmiths combine their talents to create an online resource for finding an affordable and fun cruise. It’s hardly surprising that Cruise Critic’s community has sparked dozens of relationships and more than a few marriages over the course of 21 years. Cruises are romantic, and online forums make organizing fun events that much easier. With Cruise Critic’s reviews, forums, and events, traveling becomes more social. In an online community 1 million members strong, cruise lovers come together to socialize and support one another. Whether you’re an active single on the prowl or a heartsick widow in need of a friend, you’ll find plenty of unique opportunities to connect with others on your cruise line. Through Roll Call forums and Meet & Mingle events, the online community offers easy ways to engage with others. Cruise Critic does a little of everything — helping you meet new friends, finding you the best prices, and reviewing the cruise line experience — to make your voyage smooth sailing.